Meet us in Rennes (35) & Labège (31) at the end of the week! You live in Bretagne and want to meet us? 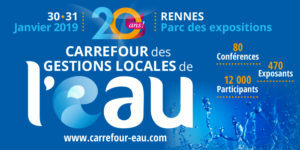 Meet our team on Hall 4 – Stand 4-395 at “the 20 years of the Carrefour des Gestions local de l’Eau” in Rennes on January 30th & 31st, 2019. You live in Occitanie and want to meet us? 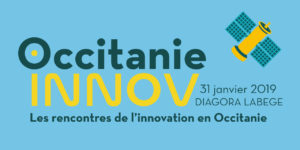 The team is waiting for you at “Occitanie Innov Midinnov trade fair” in Labège on January 31, 2019. Meet us at the 3rd Regional Meetings of the Circular Economy! Nereus is member of the business incubator “Coeur d’Hérault” ! Thank you for attending our conference at the 16th edition of “Carrefour de l’Eau” !